The glory days for the TSMC chip foundry may be over soon, if a new report out of Korea is to be believed. TSMC became the sole supplier of Apple's A-series processors in 2013, and never looked back. This year, it has been tasked with producing the 10nm Apple A11 chipsets, and the expected upgrade super cycle brought on by the iPhone 8, has shot the TSMC shares into the stratosphere, making its founder a billionaire in the process. That sweet deal with Apple may be coming to an end, a Korean publication tips, as Samsung has eventually won back Apple's chip business. The deal reportedly came through when Kwon Oh-hyun, Samsung's VP for the LSI chip and memory division, visited Apple headquarters to talk details back in June. Since then, Samsung has allegedly ordered extreme ultra violet lithography machines, which are the latest and greatest equipment in chipset making, and these are said to be put aside solely for making 7nm processors for the iPhones that will land in 2018 with Apple A12 processors inside. Since next year's crop is expected to be made entirely with OLED displays, Samsung has reportedly managed to convince Apple that there are synergies and savings to be made if it, as the world's largest OLED panel and chip maker, is tasked with producing both elements for the future iPhones that Apple is envisioning. Samsung already listed the most profitable quarter in its history, buoyed mainly by the display, chip and memory divisions, so we can only imagine what its quarters will look like if it manages to win both Apple's display and processor orders for the next iPhones. One chip to rule them all. Yes because gflops and clock speed=gpu performance. The A10 has proven in real world tests to be faster than the 835 in graphical tasks. It really doesn't matter because the platforms are different. And what exactly is the GPU on the iPhone doing that the SD835 isn't? Side-by-side videos of both phones using the same game saw little to zero difference. I dont care what benchmarks show, because benchmarks are design to push a chip to its max, not based on how you will use it. So basically you're paying more to get what? NOTHING! Did you really just post a Gflops comparison chart? Especially when different architecture has different way of processing each instruction. Yes, Gflop is the measurement of pure number crunching, but I don't honk anyone in the whole world uses their phones for that. Not to mention Adreno is loosely based on AMD architecture (Old ATI actually), which is know for high Gflops, low real world performance. Just look at AMD now, fury X with 8600Gflops still getting destroyed by 5600Gflops 980ti from Nvidia, which proves my point. Doesn't Samsung have foundry in texas? It's always been like that. Failed try! Samsung make Apple great again. Nuff said. Apple by Samsung for Apple in collaboration with Samsung by Samsung for Apple. For the new iPhone and iPad. Like I said before, they got Apple in their pocket. And what you don't realise, Apple decides whose pocket it wants to be in. That's retarded dude. Samsung is a contractor who can produce these in mass quantity. That's literally the only reason Apple has to do business with them. If they f**k up again (I.e. 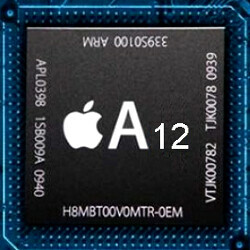 like they did with the A9) Apple will simply go back to TSMC full stop. Not like 7nm will drastically effect performance in the A series anyhow, considering they are the best chips on the market. Not every Apple user owns Samsung phones. How do you even make such stupid guesses? Half of you are completely autistic. You do understand that designing something and having another outlet fabricate it is a common practice, right?